Online dating is proving to be THE WAY to meet people in this modern age. But just as the internet is constantly evolving and progressing, so too is the dating industry. With mobile usership increasing and, in fact, overtaking desktop usage, it is clear that dating apps are the future. 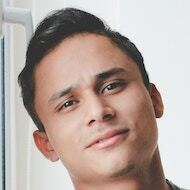 Simply put, if you’re not using your smartphone as a central part of your tactic to meet new singles, you’re not fully putting yourself out there. Listed below are the Best Dating Apps. They are easy to use, effective, and, most importantly, FUN! The Match.com dating application is one of the best options out there simply based on the number of quality singles that use the service. The provider is the #1 creator of first dates and relationships. This is thanks, in part, to their proprietary matching algorithm and their powerful app. Users can download the free dating apps to start exploring, flirting, and ultimately meeting the potential person of their dreams. Match.com has included all of the features you can find online, in addition to some special ones only available on mobile. You can even use your Apple or Android Wear watch to search on the go, dictate messages, rate matches, and get notifications of new winks! eHarmony is one of the most popular premium online dating services. Countless individuals have used the platform to meet people with whom they are compatible. Now you can take eHarmony with you everywhere you go with the dating app. The free app enables users to do everything that the desktop site does. This includes setting up an account, filling out a relationship questionnaire, and uploading photos from Facebook. 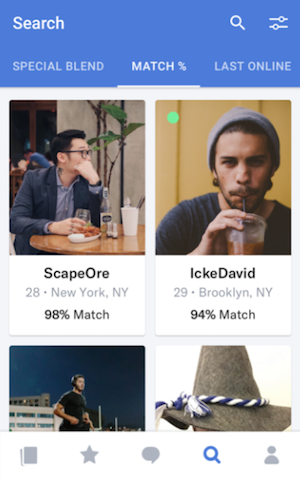 The app will notify you every time you get a match, send you daily compatibility reports, and enable you to learn more about every profile you encounter. Ask anyone to name a mobile dating app and Tinder is likely to be the first they think of. That is because it is one of the top dating apps for mobile users. The now-infamous swiping feature is what put the service over the top; Swipe right if you like someone and swipe left if you don’t. Tinder has created 20 billion matches and has helped its users meet new people, expand their social network, and meet locals. Although it is generally thought of as a hookup app, there are plenty of users who have found true and meaningful love on the service. The service is completely mobile-based and comes with a ton of features that can be upgraded for even more fun and potential matching. Tinder Gold, for instance, enables you to swipe from a pool exclusively comprised of individuals who swiped right for you. There is a lot of buzz around Bumble. That’s because this mobile-exclusive dating service is changing the rules of online dating completely. The app is helping lift the stigmas involved with online dating by created a safe-space environment where respect is not only promoted, it’s required. It’s also changing how matches are made online. 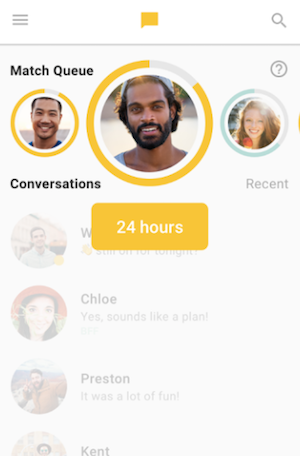 Instead of the typical gender roles common in online (ie the man asks the woman) Bumble gives women the power to talk first! This has lead to Bumble attaining the highest post-match chat rate of any other service. If non-traditional, social-justice-oriented dating appeals to you, definitely give Bumble a spin. One of the highlights of the preponderance of dating programs is not only the number of options users now have, it’s also the original ideas that companies are coming up with to meet people. happn is an extremely clever take on online dating in that it is hyper local. This means that if you ‘happen’ upon someone who is nearby in real life, their profile will show up in your app. 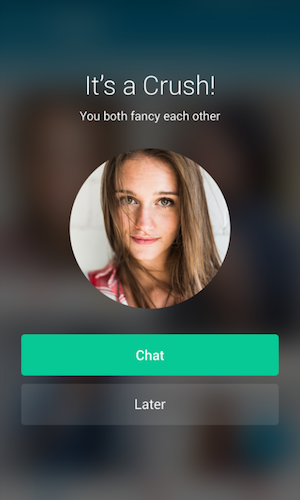 If you both like each other, you can meet nearby or chat a bit first through the app. The application is great for meeting the people you encounter every day on your commute who you could once only admire from afar. The mutual opt-in requirement ensures that there is never any embarrassment. Traditionally thought of as a desktop dating service, OkCupid actually offers a really powerful app as well. Just as with the internet service, upon signing up you will be asked a bunch of questions to gauge how compatible you are with other users. You can then see who your best match potentials might be (on a scale of 0-100%) and simply strike up a conversation. Alternatively, you can also use the app like Tinder using the DoubleTake feature. 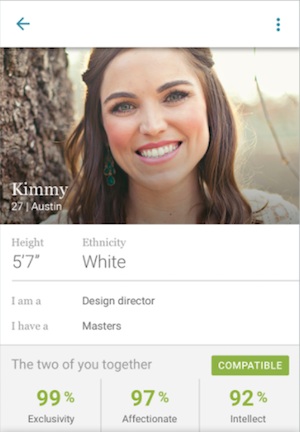 DoubleTake allows you to swipe left or right, but provides the essential information from each user profile. That means that you won’t be relying on looks or location alone. When you get a match you will be notified and get one step closer to finding Mr. or Mrs. Right. It’s always a good sign when a brand wins the UK Dating Awards two years in a row. The LoveStruck dating application enables you to sign up for the popular UK service and begin searching for that special someone right away. 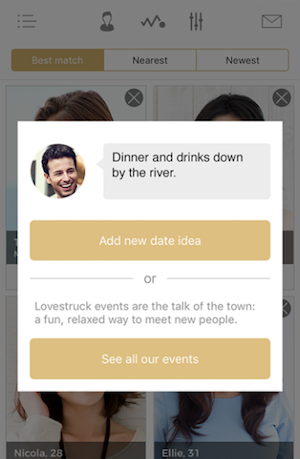 Not only does Lovestruck allow you to share your ideal date ideas, it can also help you plan them right in the program. You can also attend events with your phone in pocket and get notifications of people who might be interested in learning more about you on the spot! 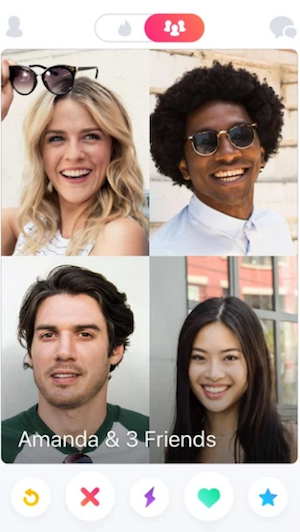 With thousands of success stories and a substantial member base, what’s holding you back from becoming lovestruck today? I hope these suggestions bring you much success. Whether you are searching for a random encounter or the love of your life, you can find them with a tap of your mobile phone.